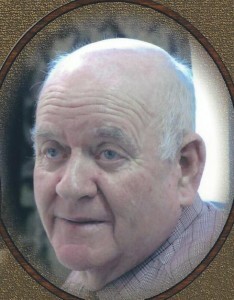 He was born July 20, 1931, in Lewis County, to the late John Edwin and Millie Baldridge Poynter. He was a member of the Pleasant Valley Christian Church and attended Mt. Carmel United Methodist Church. Mr. Poynter is survived by his loving wife of 50 years, Gladys Yuvonna Applegate Poynter; daughters, Pat (Larry) Doyle and Linda (Steve) Hickerson of Tollesboro; sister, Louanna Hamilton of Erlanger; grandchildren, Emily Thomas and Jennifer (Timothy) Miller; great- grandchildren, Jenna and Thomas Decklan and Titus Miller; niece, Anna June Hamilton of Wilder. Besides his parents he was preceded in death by an infant sister and brother-in-law, Hollie Hamilton. Services for Mr. Poynter were Thursday, January 21, 2016, at 11:00 a.m., at Barbour and Son Funeral Home in Tollesboro with Bro. Jerry Eubanks and Bro. Charlie Shoemaker officiating. Burial was in Mt. Carmel Cemetery. Pallbearers were BJ Applegate, Larry Applegate, Wendell Ray Applegate, Robbie Applegate, Timothy Miller, and Jim McRoberts. Honorary pallbearers were Leo Doyle, Bob Applegate, Randy Morgan, Al Bane, and Don Lee.